Hews Media Group-Community News has learned that opponents of the Pomona Measure Y Message Center Initiative, an initiative that would generate $250,000 annually to fund essential City services, including police and fire protection, street and park maintenance, library and recreation services, and other vital City programs, are sending out what amounts to outright lies to Pomona residents in an attempt to block the measure from passing, and there are strong indications that Pomona Councilwoman Cristina Carrizosa is behind the movement. 8,500 Pomona residents, who read the initiative and saw its merits, signed a petition recently, placing Measure Y on the June 7 ballot. If passed, Measure Y, which will allow billboards in non-residential areas only, would bring a total of $10 million to City coffers over the life of the agreement, with $500,000 paid upfront. Flyer that sources told HMG-CN was distributed this week by Carrizosa and her team. 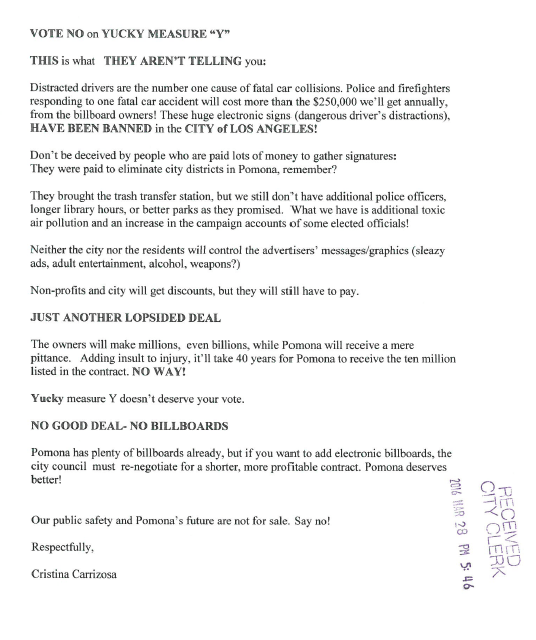 The wording of the flyer almost exactly matches the wording in the Rebuttal and Argument filed with the Pomona City Clerk by Carrizosa (copies below.) When asked, the employees of the company who were delivering the flyer said they were getting paid $20 per hour. The flyer does not have a disclosure statement-that is, information telling the reader who paid to have the flyer printed and distributed. Under current Fair Political Practices Commission rules, that is a violation and could carry a fine of up to $5,000. Click on image to view larger document. No on Measure Y banner mounted on a fence in Pomona. Note that the disclosure statement-the political committee who paid for the banner-is missing. The lack of a disclosure statement violates Fair Political Practices Act rules for disclosure. Sources are telling HMG-CN that Pomona Councilwoman Cristina Carrizosa, who apparently supports an agreement that has expired under the law and generates zero dollars for the City, is behind the movement. Those same sources are saying other outdoor advertising firms are behind Carrizosa and her attempt to defeat the measure. Carrizosa has filed two Argument and Rebuttal forms with the Pomona City Clerk against the measure – the first volley of lies and falsehoods – all inexplicably aimed at defeating the measure. Two copies are below. Argument against Measure Y filed by Carrizosa Mar. 17 , 2016 with the Pomona City Clerk. The wording is very similar to the illegal flyer distributed in Pomona. Second argument against Measure Y filed by Carrizosa Mar. 28, 2016 with the Pomona City Clerk. Once again, the wording is very similar to the illegal flyer distributed in Pomona. 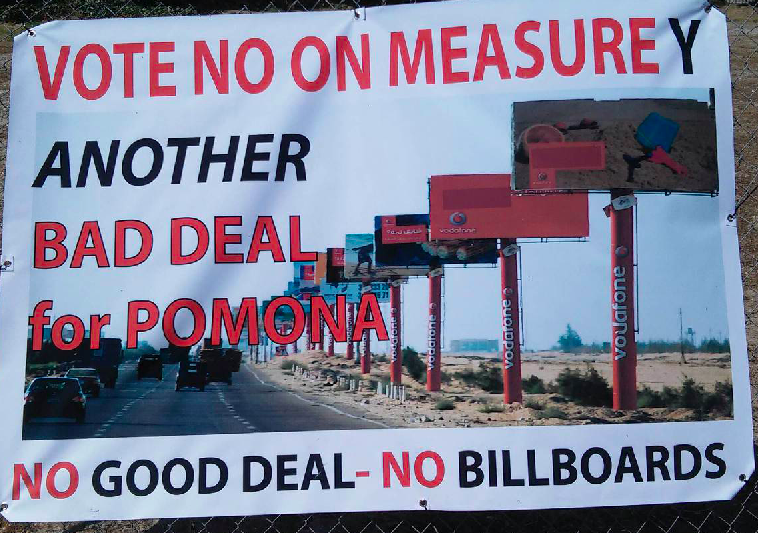 Measure Y is clearly not a tax, the advertising company, Bulletin Displays (Bulletin) entered into an agreement with the City voluntarily; an agreement that Pomona residents will vote on June 7. If approved, Bulletin, at its own expense, will build 10 Message Centers in non-residential areas only, at a cost of $5 million. Bulletin will pay the City $500,000 up front and a total of $10 million over the life of the agreement. In addition, the Measure does not call for the City to spend any money. Further, the agreement stipulates that local charities and nonprofit associations will get free advertising on the new Digital Message Centers. The City of Pomona will also get free advertising for events and, in the case of any emergencies, Bulletin will post informative alerts for Pomona residents on the Digital Message Centers within minutes of the emergency, similar to the “Amber Alerts” seen on Caltrans’ message centers on Southern California highways. Finally, Bulletin will also extend a 10% advertising discount to all local businesses, bringing more value added benefits to the City. The City will be able to attract new businesses with discounted advertising, adding even more tax revenue to the General Fund above what Bulletin is paying. Yet Carrizosa continues to fight, and lie. Carrizosa and company are also falsely telling residents that the City has no way to control the content of the Message Centers. The initiative specifically outlines strict content restrictions on the Message Centers and levies severe monetary penalties for non-compliance, as seen below. Part of the initiative that indicates the City’s strict control over advertising content. Click on image to view larger document. Kudler has pledged $250,000 to the City each year for a total of $10 million. That amounts to 7% of the gross revenues of the Message Centers, and does not take into account the free advertising that Kudler will give the City, local charities and nonprofits. Lastly, and playing on residents emotions and fear, Carrizosa and company are telling residents that the Message Centers will be “ugly” and cause traffic accidents. Rendering of one of several message center designs that Bulletin is proposing to build in Pomona at no cost to the City. The study said that “drivers directed the majority of their visual attention to areas of the roadway that were valid relevant to the task at hand. 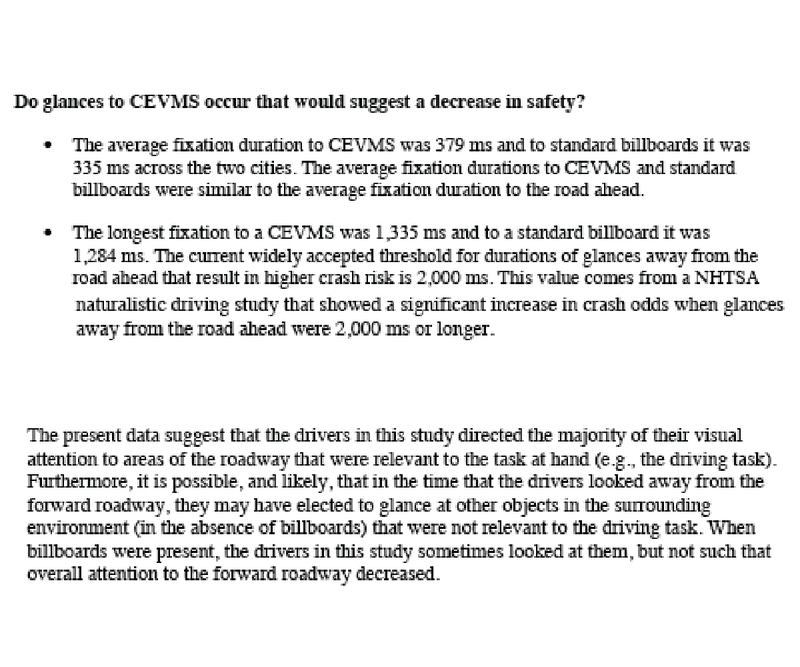 When billboards were present the drivers in the study sometimes looked at them but not such that the overall attention to the roadway decreased. Portion of the study done by US Dept. of Transportation. When pressed further on the statements Carrizosa indicated she “would call back with more answers,” but at the time of this article’s posting, she has not retuned the call. This is not the first time Carrizosa has twisted facts or circumstances to attain certain goals. According to a report in the Inland Valley Daily Bulletin in June 2010, in a deal to maximize the benefits of Carrizosa’s pensions from the city of Pomona and the Pomona Unified School District, she convinced her colleagues on the Pomona council to let her resign her seat on the council on the same day she retired from the school district. Two days later, the council appointed her back to her council position. The purpose of the maneuvering was to allow Carrizosa to maximize her pension and, according to the web site PublicCEO, boost her salary from the city of Pomona. 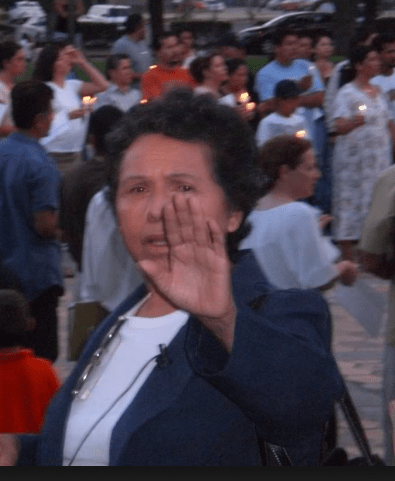 Carrizosa was now due a much larger pension from her council service after her maneuver. The article indicated she would receive more than $20,000 per year up from the $2,688 she was due, an increase of 735%. Carrizosa acknowledged that her pension from the California Public Employees’ Retirement System, or CalPERS, will be higher because of her brief retirement. The Daily Bulletin contacted an “official,” who asked not to be named, who was in a similar position to Carrizosa’s upon retiring from a school district. By retiring from both jobs on the same day, the higher salary of the two jobs will be used by both pension systems even if, in Carrizosa’s case, the day job pays in the neighborhood of $80,000 and the elected job pays $9,600. “She’s very sneaky,” the official said. “I could have done the same thing.